Songs of love, separation, life and death. Picture of yours, collecting flowers on an autumn morning, and the story of a boatman's adventure. Tale of someone's dream, and the pain of someone with shattered dreams! And the description of death. 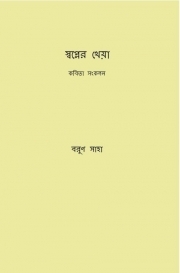 This is the humble effort of the insignificant poet to publish his first book of poetry. Barun is a software engineer, currently based in Chennai. Beyond the regular schedule of eat-sleep-work, he keeps himself busy with reading and writing. And of course, dreaming! He's a fan of fantasy. His domain of writing mainly includes poetry.